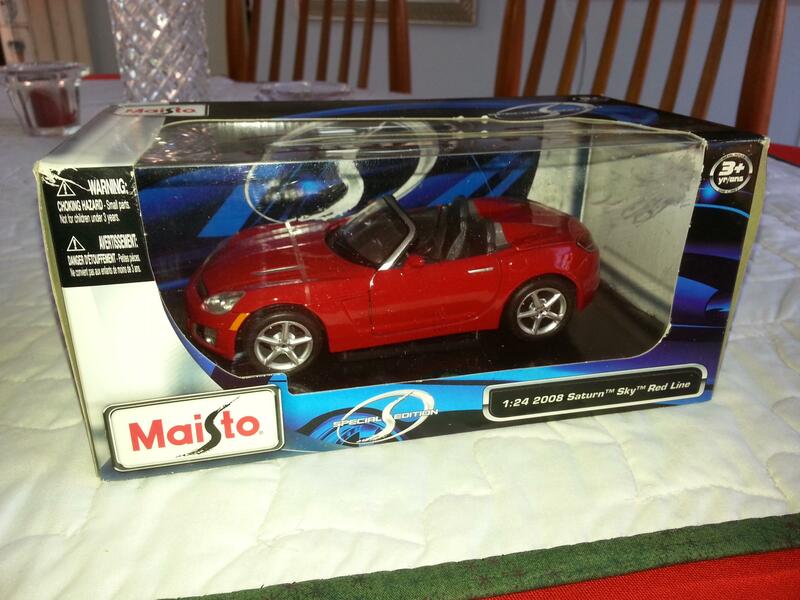 Maisto, 1:24 scale 2008 Saturn Sky Red Line. 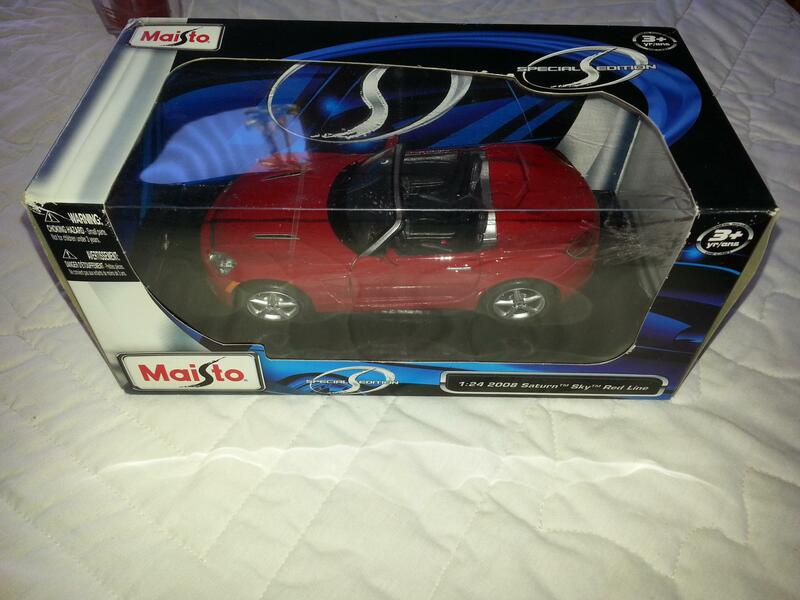 The box is in PERFECT condition as well as the car inside that's never been taken out. Thanks ChopTop for the heads up. The seller wasn't a SKY owner (my guess), nor didn't want to mail the model either. Having grew up in that area, I still have family outside of Omaha that picked up the model and mailed it to me. Everything is just as the seller stated (photo below). I still have family outside of Omaha that picked up the model and mailed it to me. 44SKY, congrats, glad it worked out for you.